The Scottish fresh run salmon are often described as a 'bar of silver' and this shot leaves you in absolutely no doubt as to why. Show your colleagues a more naturally exciting way to spend a day. 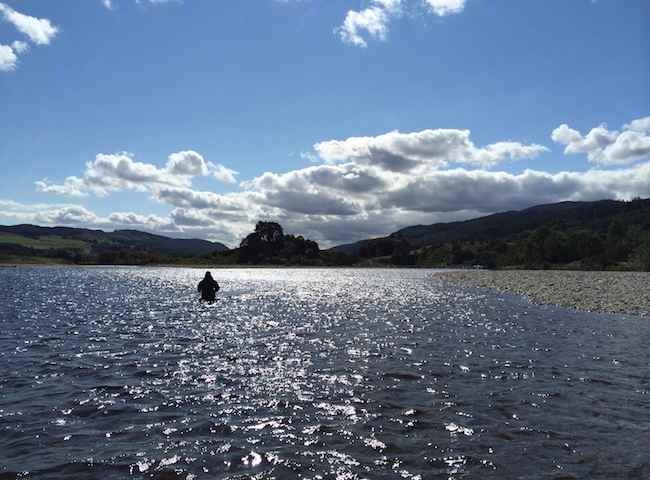 Here's a lovely shot from the River Tay showing a guest out with his fly rod in pursuit of a prized Tay salmon. Treat yourselves to something satifyingly different for your next corporate hospitality day. 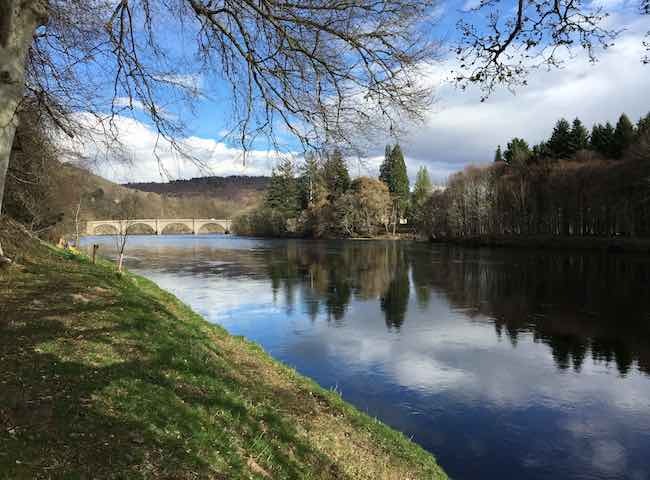 Here's a Spring scene from the beautiful River Tay slightly upstream from the Telford Bridge in Dunkeld. 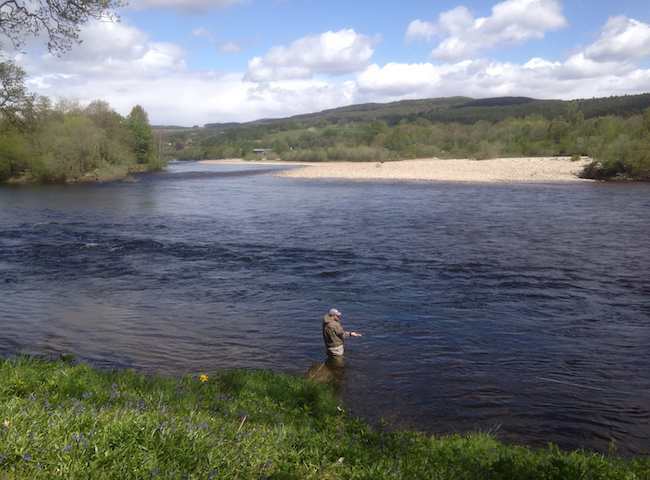 This area of the Tay Valley is a superb choice for your corporate salmon fishing event. Wild Atlantic salmon have the most amazing beauty and no two fish are ever the same. 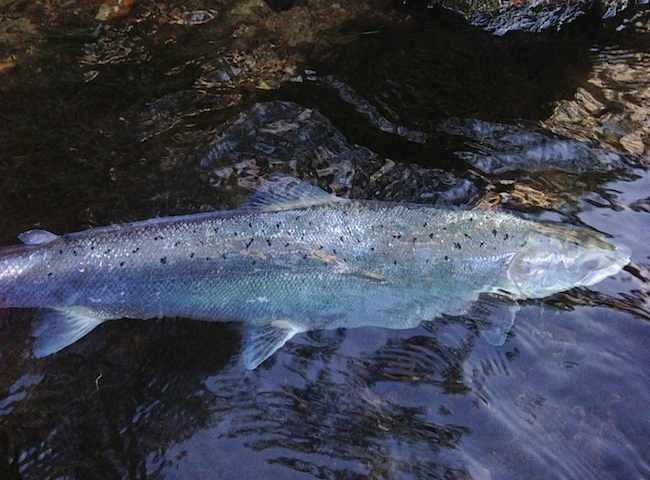 This Spring fish was caught on the River Tay during March and exuded the most amazing blue hue. 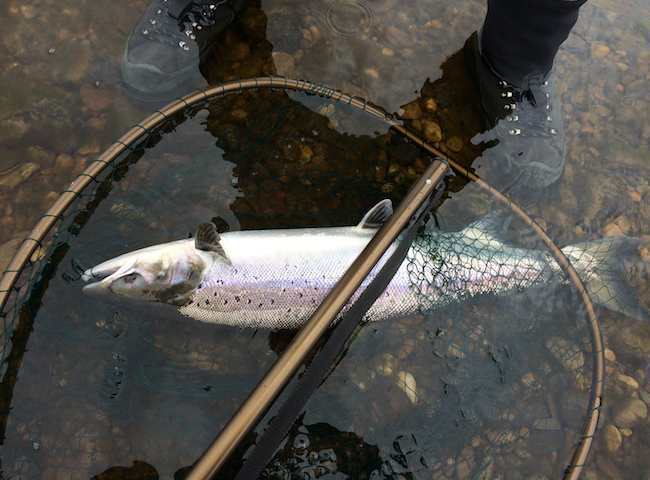 Forget your business monetary objectives for a day or so and focus your mind on the more natural objective of placing a fresh run Scottish salmon at your feet in a landing net. 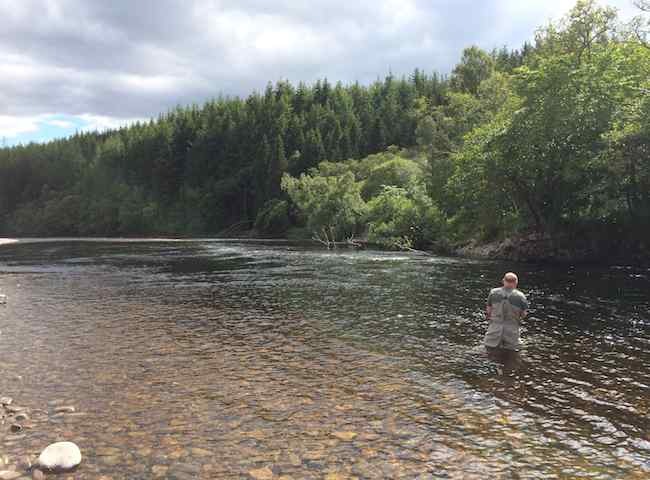 I'll guarantee that during the final moments of an exhilerating battle with a super fit fresh run River Tay salmon that your heart will be in your mouth until the fish ends up in the landing net. Our professional Scottish salmon fishing guide team will assist with all relevant information during our salmon fishing event days. 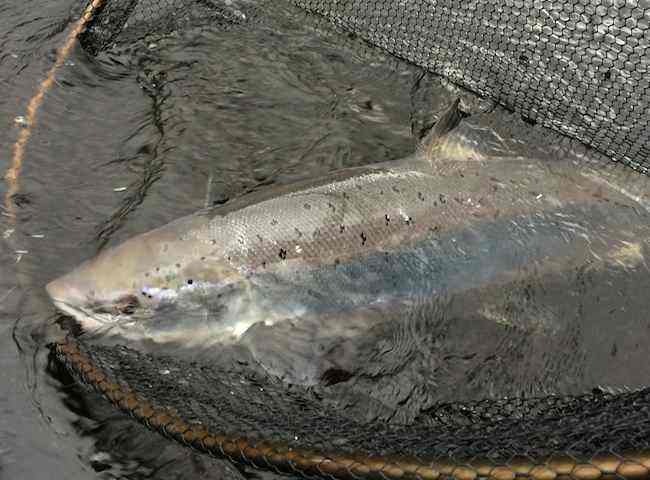 Follow this link for more details about salmon fishing in Scotland. I've decades of salmon guest hosting experience and these days I run the most professional team of River Tay salmon guides. This is the winning formula for organising a salmon fishing event. 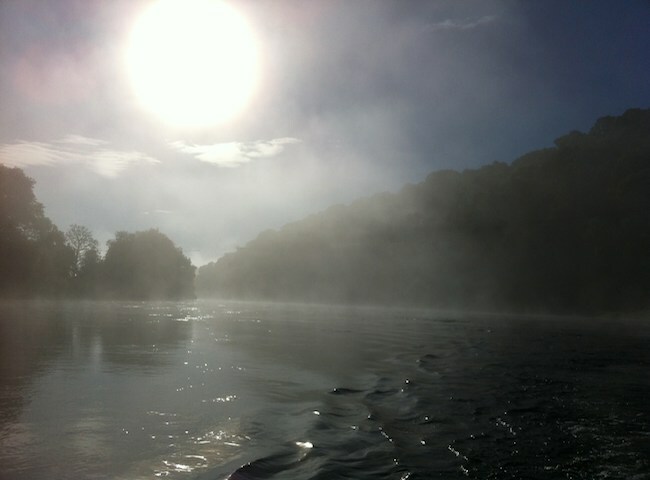 Here's the most perfect shot of the early morning sun rising up over the beautiful River Tay. The natural magnificence of Scottish salmon river should never be underestimated. Here's a close up of the ultimate prize in angling. 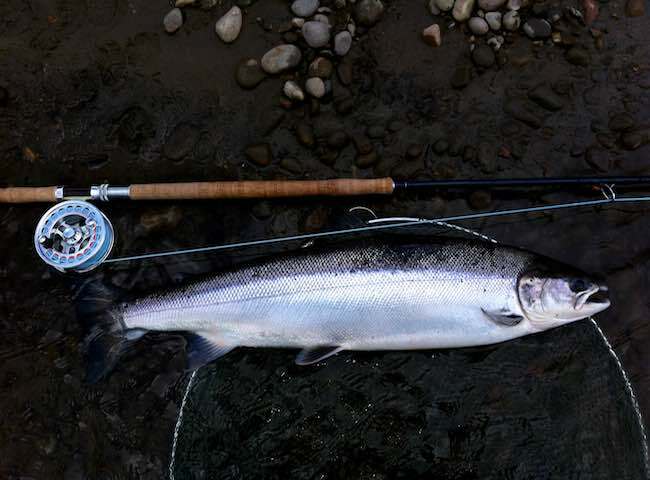 This is a fresh run heavyweight Spring salmon from Scotland's famous River Tay. Treat your colleagues to an encounter with one of these perfect fish. 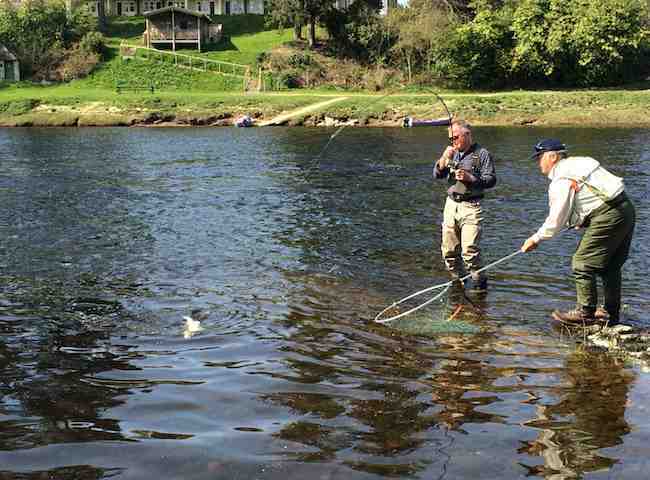 Our River Tay salmon fishing event days commence with some salmon fishing tuition. 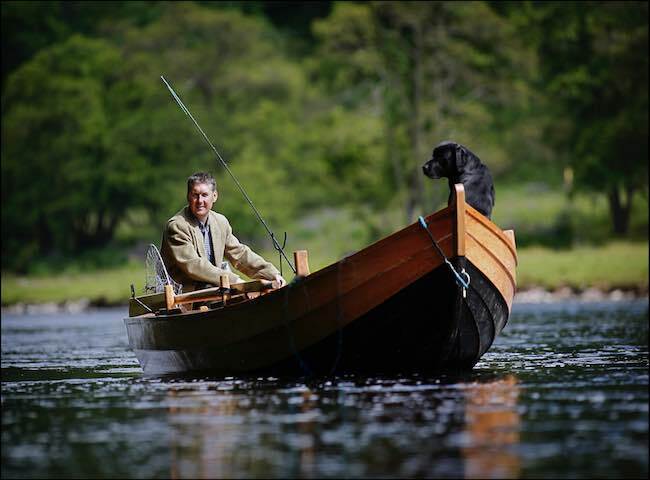 Our professional River Tay guide staff are all great communicators when it comes to teaching the art of salmon fishing.